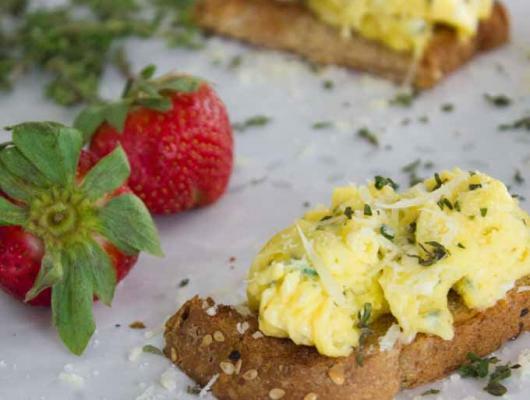 Toast a slice or two of bread right after you remove the eggs. Butter the toast lightly (if you like) and cut it in half. Place the bread on a plate and top each half of the bread with eggs (you might need TWO slices depending on the size of your bread!) Sprinkle a little parmesan and fresh chopped thyme leaves on top. 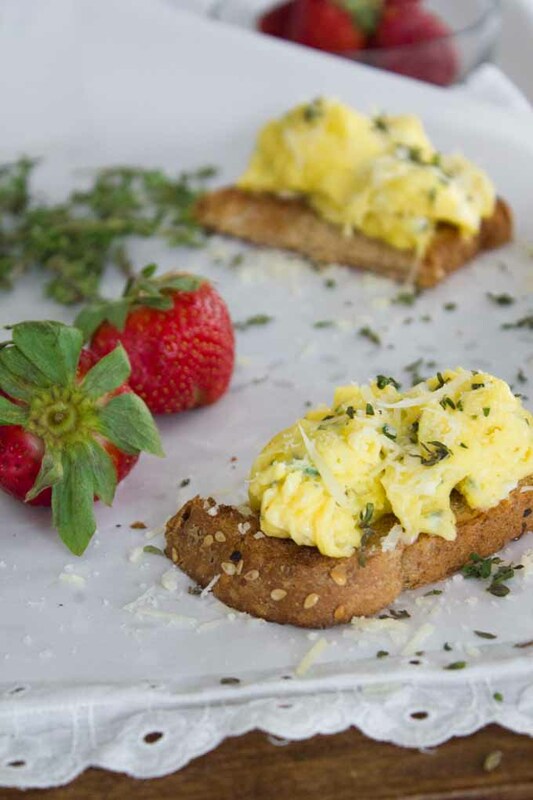 A simple egg scramble with fresh thyme & a salty bite of Parmesan. Easy, elegant & delicious!